You are here: Home / About me / Happy Halloween! 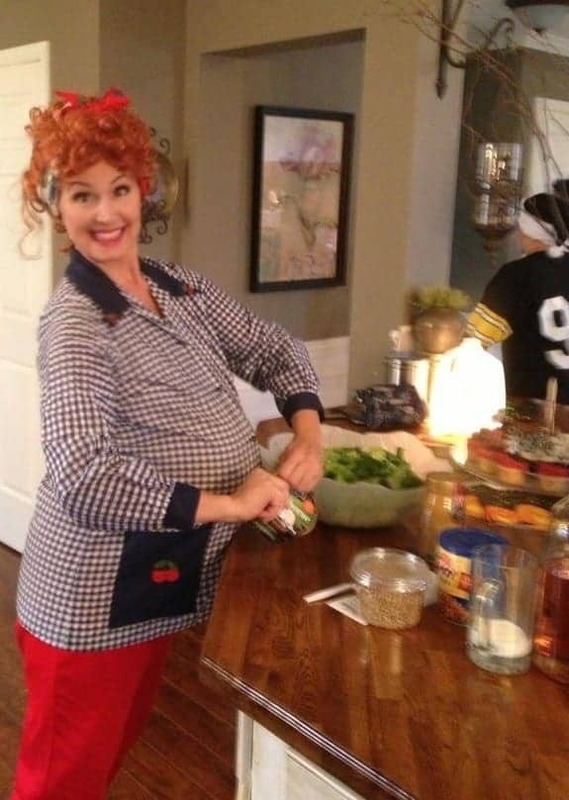 Me, as a preggers Lucille Ball (hyperlink for the younger crowd that MIGHT NOT KNOW who Lucy is). 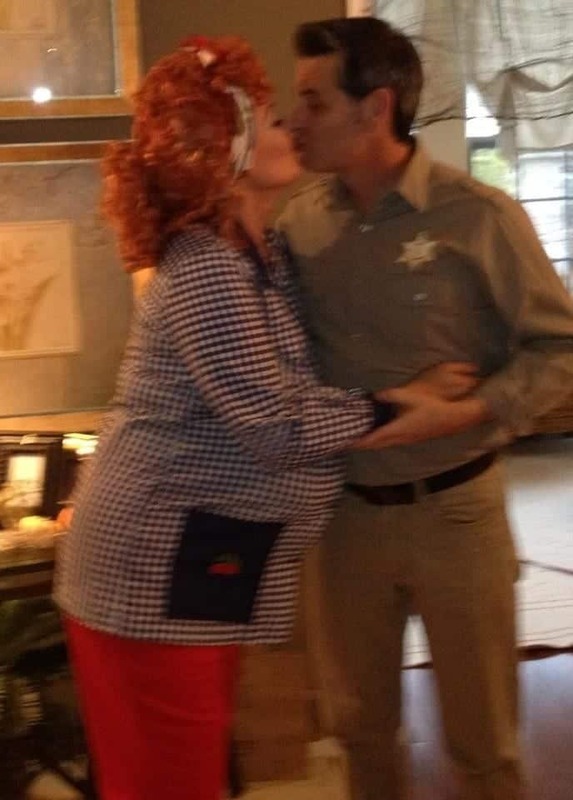 (Above): Lucy and Andy Griffith hooked up!? Who knew?? We threw a big Halloween bash this past Sunday, and nothing helps a DIY’er understand her home better than watching the flow of 30+ people move about IN her house. We now have a better understanding of exactly where people like to hang out (the kitchen island) and where they don’t (everywhere that isn’t the kitchen island). I wish I had more pictures to share of all the great costumes but no one has shared them with me yet! I was busy hosting the party and following the kiddos trick or treating in the bad weather that Hurricane Sandy brought to us. Anyway…enjoy your day! We sure did throw ourselves into the Halloween spirit this year!